What happened to Hitzig beard hair auto-cloning? Dr Hitzig will be giving an update next week in Boston at the ISHRS meeting. If he has a working system it would mean unlimited donor hair. » regrowth at donor and recipient sites. » If he has a working system it would mean unlimited donor hair. Hitzig & Cooley have served the press bullsh*t in the area of donor regrowth before. They’re probably trying to do it again. » regrowth before. They’re probably trying to do it again. According to them (Cooley/Hitzig), currently, the success rate is anywhere between 0 - 400% (increased hair count) and range from “normal” to “amazing” concerning wound healing - and therefore it seems that it depends on the physiology of the person it’s being used on, as well as which application (sheet form, powder form, gel form, liquid form etc) is used. And that’s what they currently try to figure out. The consistency is the only part of the story worth discussing. Getting two follicles out of one is not news. It becomes news when they prove they can do it consistently, and when they prove that each new follicle is consistently much greater than half the hair shaft quality that the original one was. Until this is done, they’re just looking for attention for what others have done before. » The consistency is the only part of the story worth discussing. » the original one was. » » The consistency is the only part of the story worth discussing. » » the original one was. » » have done before. » I’m right there with you. I think this is very encouraging that they are doing a presentation at the ISHRS, this holds promise in my opinion. Granted, everybody says they have consistency issues, at least they are not writing this off entirely so this is still good news. Same with Gho, I hope they all straightened out these so called consistency issues. ISHRS presentations are worthless. Gho, ICX did these in the last years. Its just propaganda. We won’t get any new info. Hitzig says his old method was inconsistent?. This is bullshït. The same old bullshït excuse. All the charlatans use the same technique. 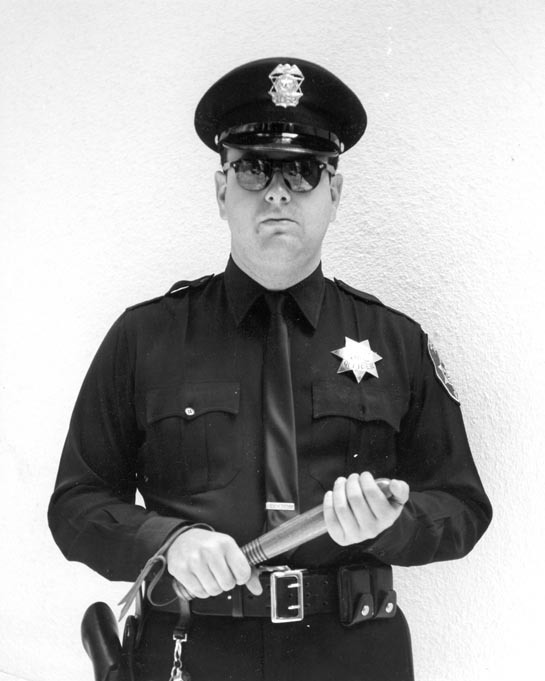 First, they sell a “first version” that is something wonderful, but they never prove it, and after many years, when people get tired of waiting for the proof, they launch a “new version” and dismiss the previous version as “inconsistant”; this way the charlatans keep the fools connected. Inconsistency is not an excuse. Even if the “first version” was inconsistent, this was not an excuse to hide proof. If it worked, even in a small fractions of patients, they would have published data of these patients, but they didn’t do it. And suppossedly, Hitzig has now a “consistant” version, but the photos are pathetic. The manipulations are primitive, and even with manipulations, we cannot see any result. » » » The consistency is the only part of the story worth discussing. » » » the original one was. » » » have done before. » » I’m right there with you. » so called consistency issues. The 18th Annual Scientific Meeting of the International Society of Hair Restoration Surgeons will take place October 20 – 24, 2010 in Boston, MA. PRLog (Press Release) – Oct 18, 2010 – Gary Hitzig, M.D., a leading hair transplant researcher and surgeon based in New York, will be part of a panel of experts during a session on hair growth factors and hair graft storage solutions at the 18th Annual Scientific Meeting of the International Society of Hair Restoration Surgeons on October 20, 2010 in Boston, MA. Hitzig, along with Jerry Cooley, M.D., were the first medical doctors to successfully clone hair using the FDA-cleared wound healing powder called MatriStem® MicroMatrix™. 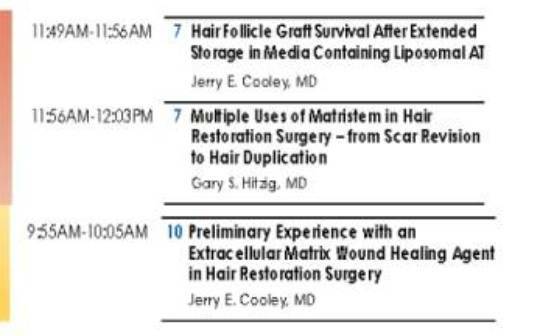 Hitzig will specifically discuss and answer questions related to the multiple uses of MatriStem – from scar revision to hair duplication. The theme of the 18th Annual Scientific Meeting of the ISHRS is revolution and evolution - Advances in Hair Restoration: Revolutionary Concepts and Evolutionary Techniques. This annual meeting is attended by experienced hair restoration surgeons, physicians with an interest in hair restoration surgery and who are new to the field, trichologists, surgical assistants and medical personnel involved in hair restoration surgery procedures, office managers, clinic directors, and consultants who staff hair restoration surgery offices. Dr. Hitzig is a board certified hair restoration surgeon in New York City. He is also the author of Help and Hope for Hair Loss and developed and patented the Hitzig Linear Punch, a collection of extremely sharp disposable surgical punches that make narrow elliptical slots, which are sold to surgeons around the world. Dr. Hitzig has published numerous peer review articles on hair transplant techniques and is a regular presenter at medical hair restoration symposiums around the world. Dr. Hitzig is a member of the American Society of Dermatological Surgery, International Society of Hair Restoration Surgery and the American Hair Loss Council. He can be reached at (516) 536-0385 or visit www.nyhairloss.com. Do you think that you will use Acell to improve the result the result of the transplants and to help the healing of the donor area? ACELL MATRISTEM: This sounds like urban legend. I am very interested about Acell but could not find enough information like everyone. As you know there was a presentation in Capri about hair cloning using Matristem but Gary HITZIG ( USA) was not there and the presentation was done by Marina PIZZARO ( USA) . So I can not get satisfactory answers for my many questions from Marina although she wanted to help me she was friendly ( she had to give me the phone number of Dr. HITZIG after my endless questions. Now I have to wait the next presentation in Boston. My hesitations are about stimulating possible cancer cells after the operation. So I have to wait till to get satisfactory answers and researches. I am planning to use it especially for the donor area which will be very available after extraction because I know there are many multi- potential cells near to extracted follicular. Over the extracted donor you can easily apply the powder and can stimulate these cells. So may be we can start with the limitless donor area by using Acell before recipient area. WOW i think we all should get screen shots from thiy lying as*face.